Steve Lake has over 26 years of legal experience in the energy industry in both law firm and corporate settings. Steve started his career at GableGotwals where he practiced for 17 years in the areas of mergers and acquisitions, corporate and securities matters and corporate finance. He then served as Executive Vice President and General Counsel for McJunkin Red Man Corporation for about four years before joining ONEOK, Inc. and ONEOK Partners in 2011. 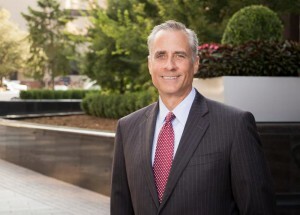 During his tenure with ONEOK, Steve led the in-house legal team as Senior Vice President and General Counsel. Steve will focus his practice on mergers and acquisitions, corporate and securities law, and corporate finance.